From our Charlotte, North Carolina manufacturing location you can count on that Made in USA pride and quality engineered in all of our systems. We are proud to have our full ASME Code Certifications for pressure vessel manufacturing which assures you “Our Customer” with long lasting service from every ThermaFlo Engineering Company product and system. TH-750V Units fit through 30” standard doorways and take up less than 4 sq ft of floor space. All units are designed so that the tube bundle can be removed from the bottom for ease of maintenance. Vacuum steam contains more “Latent” heat BTUs than positive pressure steam saving energy. 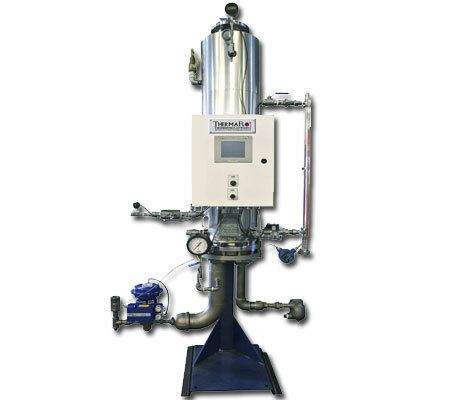 The TH500VX design eliminates steam pressure reducing stations, electric condensate pumps, flash tanks saving thousands on installation cost and long term maintenance. The TH500VX Electronic Controller interfaces with BACNET, Modbus, Lonworks, and many other BMS Products. The TH-500ZX fully condenses the latent heat BTUs and discharges condensate below atmospheric temperature eliminating flash steam. 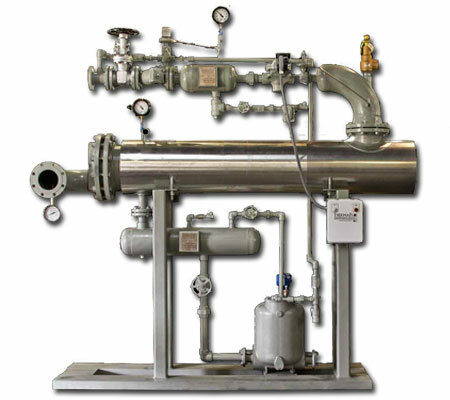 No additional flash tanks are required and condensate can be discharged directly to an electric or pressure powered condensate return pump system. Up to 5% of the steam can be saved! 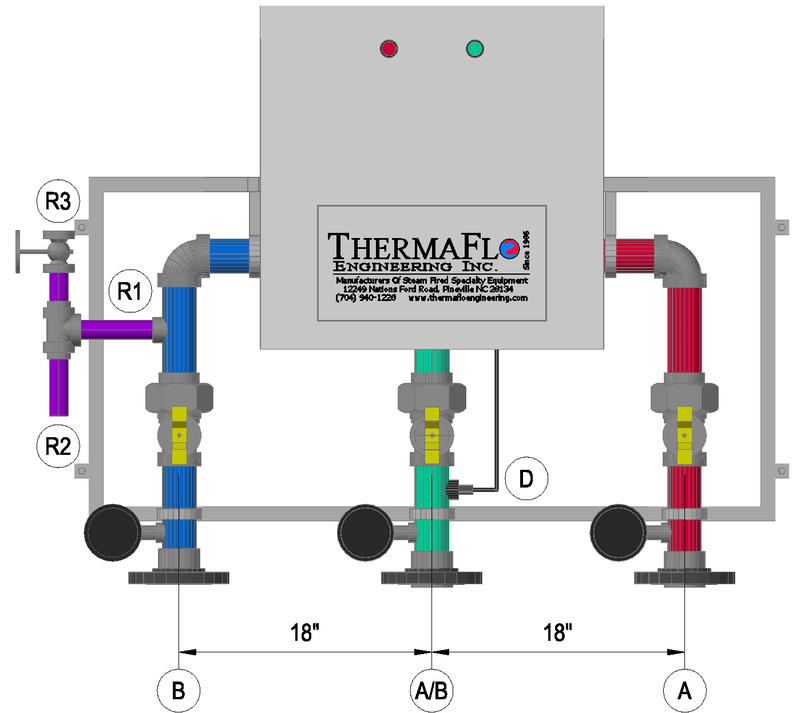 “Cross Flow Instantaneous Design” Thermaflo Engineering THCS produces Dry Quality Clean Steam Instantly and On Demand for All Clean Steam Needs. Capacities from 100 to 30,000 lbs/hr Outlet Pressures to 150 PSIG. 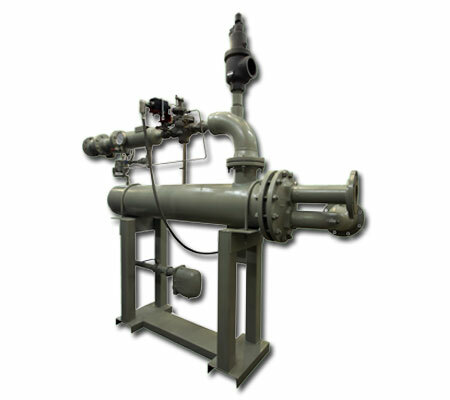 The THCS-H Horizontal Clean Steam Generator is designed to produce clean steam from the shell using a higher pressure plant steam or HTHW tubes. 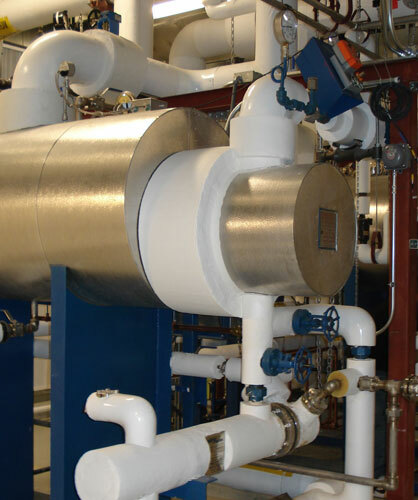 Clean steam is used in humidification, pharmaceutical, sterilization and food processing applications. 316 Stainless steel magnetic level gauge and level controller with blow-down eliminates gauge glass and leaking fittings. 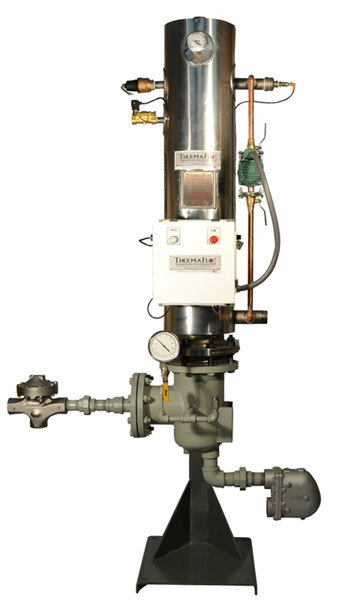 Complete blow-down controls featuring surface automatic blow-down valve, sensor and controller. Lower blow-down tandem ball valves. Fully electronic master mix domestic water blend system. Fail to cold design to prevent over temperature hot water entering building system loop. System Factory tested prior to shipment. Loop Circulator Option available for compete package system.